Linden co-founded FIG as a way to continue her passion for community-based, food-as-social-justice work. 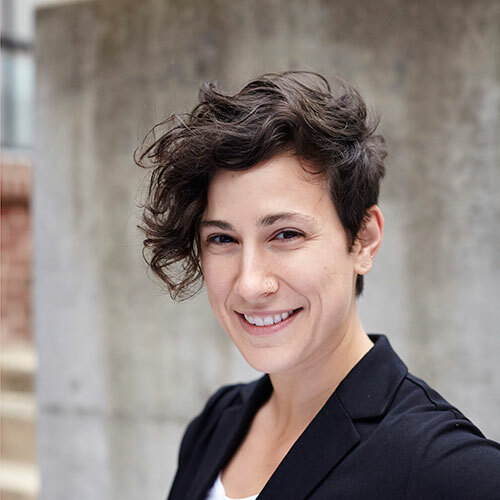 She holds a PhD in Nutrition Intervention and Policy from UNC-Chapel Hill, and she relishes the opportunity to work across disciplines, social agendas, and geographies to build programs, policies, research, and connections that promote the health and wellbeing of communities. As a former “Lunch Lady,” she has a particular passion for supporting schools’, students’, and families’ efforts to grow school food systems that support community wellbeing from farm to school to child. She hopes that FIG’s work empowers many others to take up food system causes in their own communities. Beth is passionate about the intersections of food, environment, culture, and social justice. She holds a PhD in Nutrition Intervention and Policy from UNC-Chapel Hill and has worked across North Carolina and around the world to help communities identify food system challenges and address them by leveraging community strengths. Beth uses quantitative and qualitative research methods in her work with farmers, grocery retailers, schools, nonprofits, foundations, and community development financial institutions. She strongly believes in the power of food to connect people. 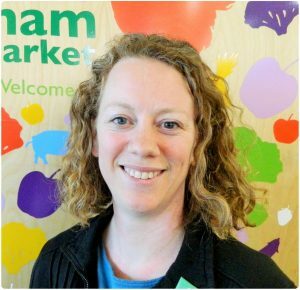 Beth serves on the Board of Directors for the Durham Co-op Market. Emily brings years of experience in strategic planning, facilitation, evaluation, and research support to her work with clients. She integrates systems-based approaches to help clients achieve meaningful, long-term impact through cross-sector collaboration, continuous performance improvement, and meaningful community engagement. Her driving passion is to support healthy, vibrant, and peaceful societies in the U.S. and abroad. She lives in Asheville, North Carolina. Julia works at the intersection of urban planning and public health. Using an equity lens, she draws on tools from both fields to improve community-level health and quality of life. She is inspired by the fact that the environment can help prevent disease and increase opportunity — it means we can make changes that impact individuals, communities, and the population as a whole. Julia works with community groups and residents, local leaders, multi-sector teams, and government officials to achieve community-led change. Danielle is an equity consultant operating from an intersectional lens, with experience in organizational development and strategy, program development and implementation, leadership and management, and equitable policy and practice. She can help build or revise handbooks and policies with an equity focus, coach managers on implementing equity in their leadership practice, collaborate on strategic and long-term planning, and work with clients to build an organizational culture that supports equity internally and externally. Leila’s entire professional career has been devoted to promoting sustainable agriculture, local investment and neighborhood economic development through fair business practices. She has helped guide two stores through start-up phases, and developed a produce purchasing system that increases local produce procurement. Before her job at Durham Co-op, Leila was the operations manager at Company Shops in Burlington and a manager at the Eno River Farmers Market. She has also worked as a production manager at Locopops in Durham and Simple Kneads Bakery in Greensboro. Stephanie is the co-owner of Sweeties Southern & Vegan Catering in Chapel Hill NC. Stephanie brings 20 years of expertise to the catering food industry from working as a baker and chef for Natures Harvest Market, the famous Wrights Bakery in Tampa, FL, Whole Foods and Fosters Market & Catering. She is a former Sales and Marketing Manager who established a successful career working for Marriott and Hilton brand hotels and a professionally trained Community Organizer. Stephanie is currently a lead Organizer for Organizing Against Racism Orange County NC and The Campaign for Racial Equity in Chapel Hill Carrboro City Schools. Dr. Ammerman is a Professor in the Department of Nutrition and Director of the Center for Health Promotion and Disease Prevention (a CDC Prevention Research Center or PRC). Her research focuses on the design, testing, implementation, and dissemination of innovative clinical and community-based nutrition and physical activity interventions for health promotion in primarily low income and minority populations. Current projects focus on behavioral economics, school nutrition, the interface between healthy food access and sustainable local food systems, and social entrepreneurship as an approach to addressing public health challenges. Molly is a Research Assistant Professor of Nutrition at the University of North Carolina at Chapel Hill and a Research Scientist at the UNC Center for Health Promotion and Disease Prevention. She conducts research on determinants of health disparities and food insecurity and focuses on community-based research that engages low-income and historically marginalized populations in improving the food environment. Dr. De Marco helps direct a USDA-funded center to assist SNAP-Ed and EFNEP providers implement more Policy, Systems, and Environmental Change activities. Mark provides strategic communication consulting to nonprofits and foundations across the country for Spitfire Strategies. He previously caught stories at BCBSNC Foundation and Active Living By Design. He loves to translate great ideas across the country to projects on the ground in Durham: Hub Farm, Bull City Open Streets, Bike Durham, Durham Bicycle Boulevards, and Club Boulevard Elementary’s Walk to School Wednesdays. He also loves to fiddle with systems to make them more equitable. 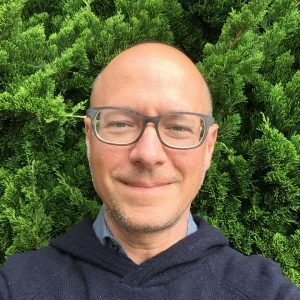 Steve Saltzman leads Self-Help’s Healthy Food System Initiative, from lending to organizational strategy. He is responsible for more than $200 million in community development financing for projects supporting healthy food systems, education, commercial real estate and downtown redevelopment, twinning Self-Help’s funding with public and private financing, equity and credit enhancement. Prior to Self-Help, he helped found two venture capital backed technology companies. He holds a master’s degree from the University of Virginia and a bachelor’s degree from Duke University.